The Christmas tree is finally coming down and work is back to normal. I’ve been back at work for a week but a few more days off would be nice. 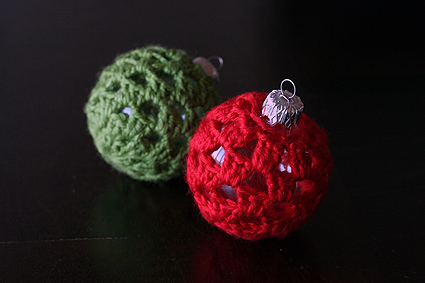 This holiday season I followed Pip’s instructions and made some crocheted Christmas baubles. I picked up the glass baubles from Lincraft after Christmas for less than 50% of the usual price. I think I paid $3.50 for 10. 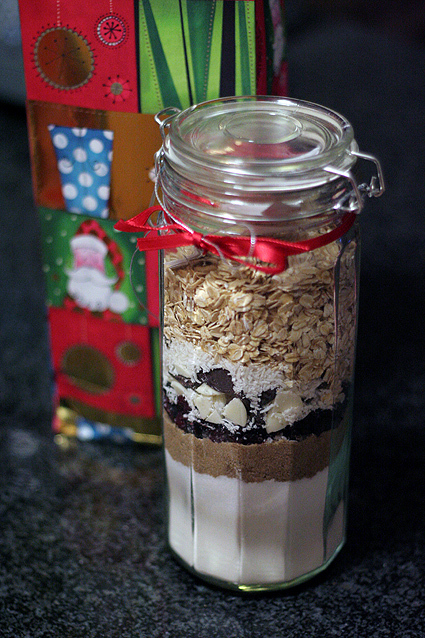 I made cranberry and white chocolate cookies from this mixture in a jar given to us by my aunt and uncle. My aunt bought it from a market somewhere around Sydney but there is no branding or label on the jar, just hand written baking instructions inside. I think I made three batches of these kitchen sink cookies over the Christmas season, and ate more of them than I could count. Drop heaping tablespoons of batter onto trays, about 2 inches apart. Press tops down with the bottom of a glass to flatten cookies evenly. Bake until golden, about 16 to 18 minutes (10 minutes in my oven). Cool on pan for 2 minutes. Remove from pan, and finish cooling completely on wire rack. You mention butterscotch chips in the directions but not in the ingredient list. 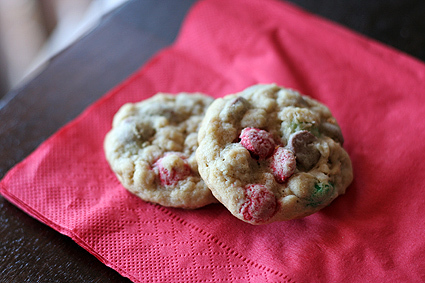 Do you use butterscotch chips or milk chocolate chips? Or both?